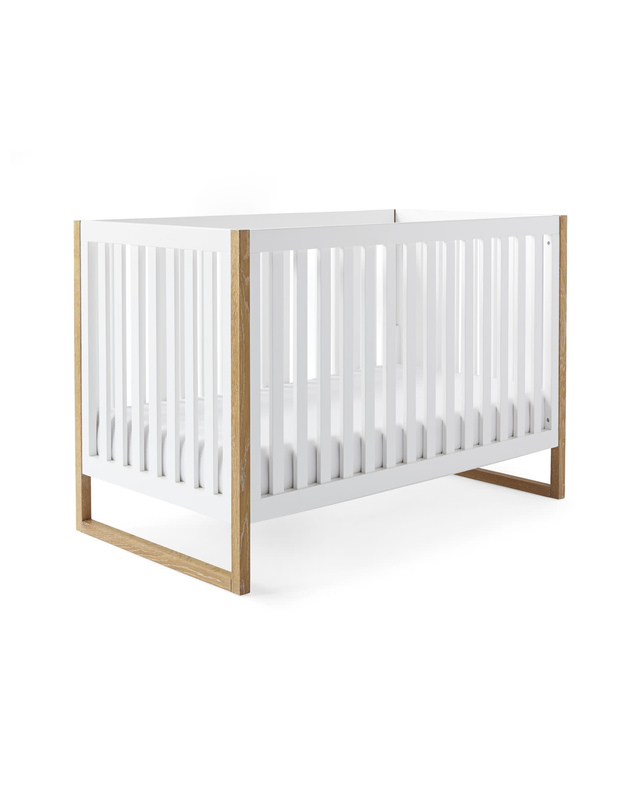 Nash Convertible CribNash Convertible Crib, alt="Nash Convertible Crib, "
Print Simple, clean lines with a crisp, white finish – we love the modern appeal of this design. Oak brings a nice touch of warmth and a bit of contrast that keeps things interesting. And thanks to an easy-to-use conversion kit, it grows with your child. 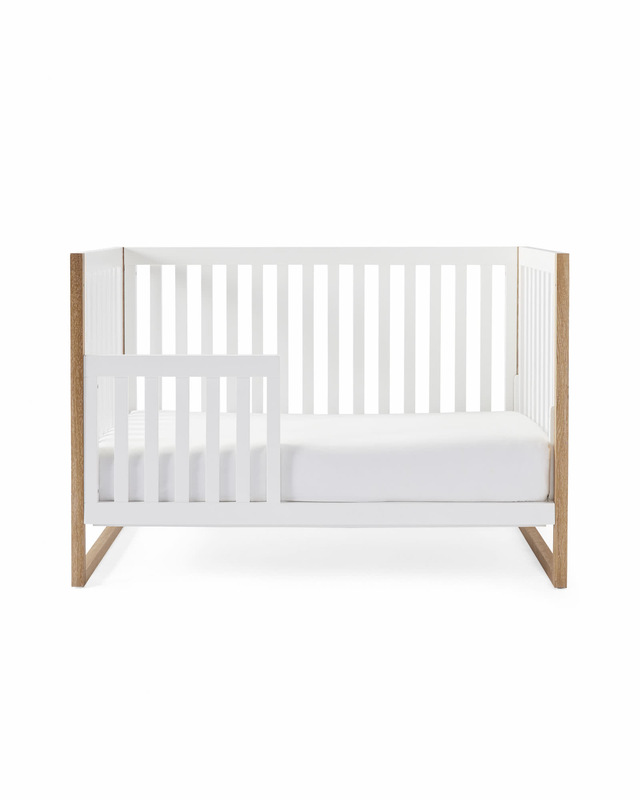 Transform it into a toddler bed when the time is right, and then to a stylish daybed to switch things up again. Meets or exceeds all US government safety, ASTM and CPSC standards. Crafted of poplar and solid cerused oak. 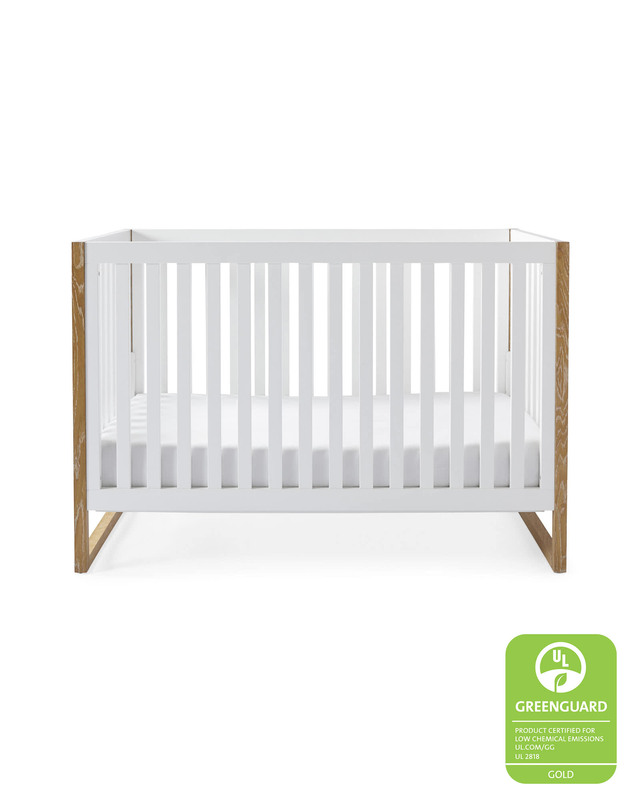 Fits standard size crib mattress. 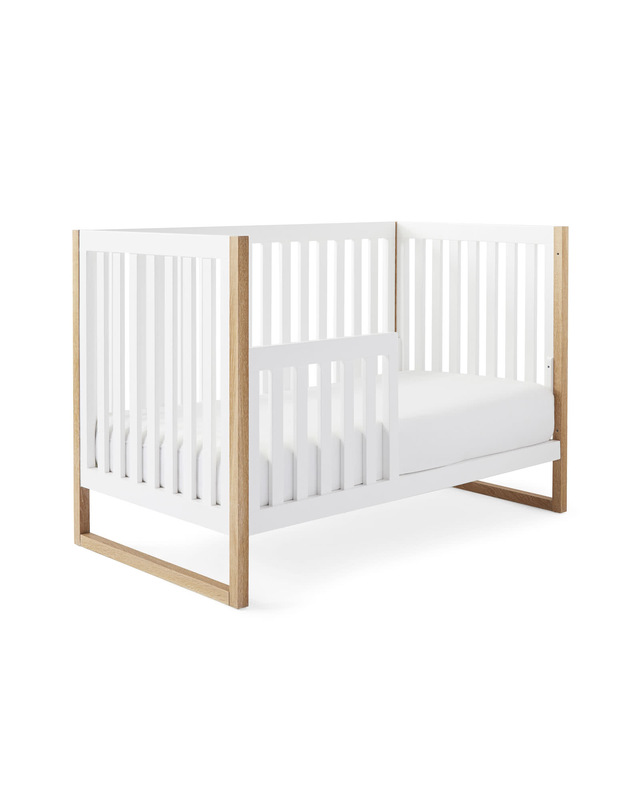 Converts to a daybed and toddler bed (conversion kit included). Dust often using a soft, dry, lint-free cloth. Avoid the use of chemical cleansers and abrasives as these may damage the finish. 55.5”W x 31”D x 37”H overall. Highest mattress position from floor: 18”H. Max weight capacity: 50 lbs.